Teaching Blog Round Up: Do You Like to Camp? Do You Like to Camp? Greetings to you...from Camp Comprehension! 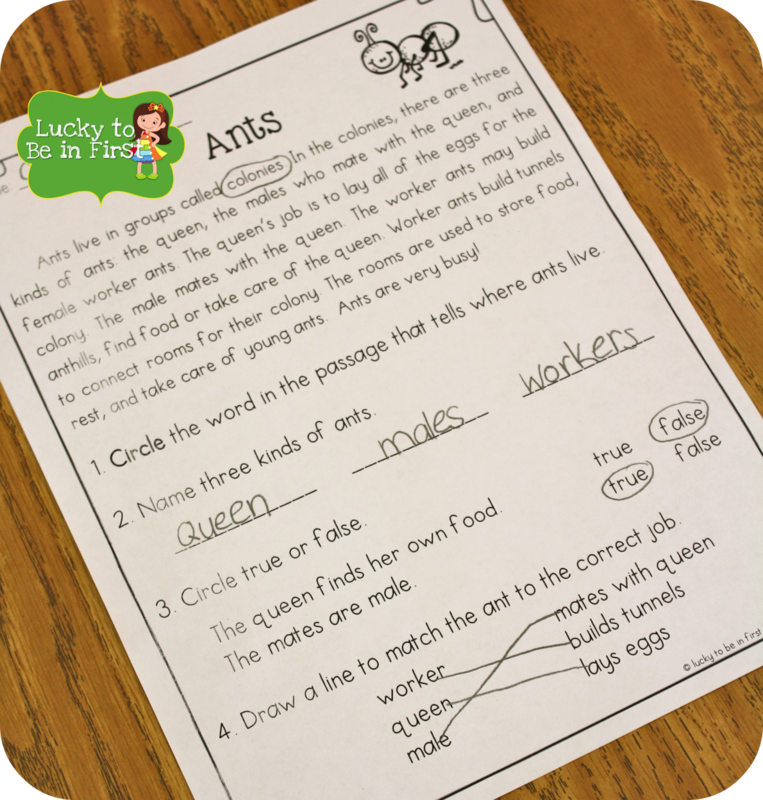 I'm here to share one of my latest goodies that has helped my kiddos become more familiar with non fiction text. 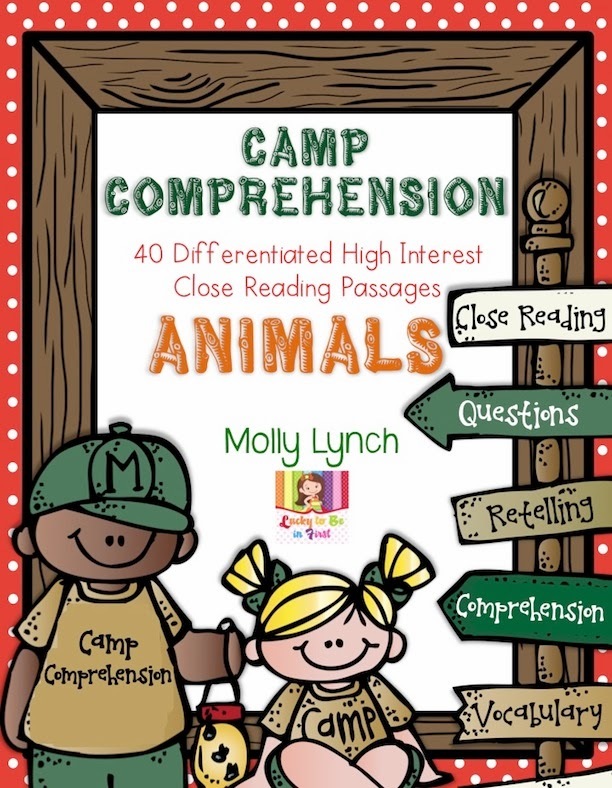 Welcome to Camp Comprehension! 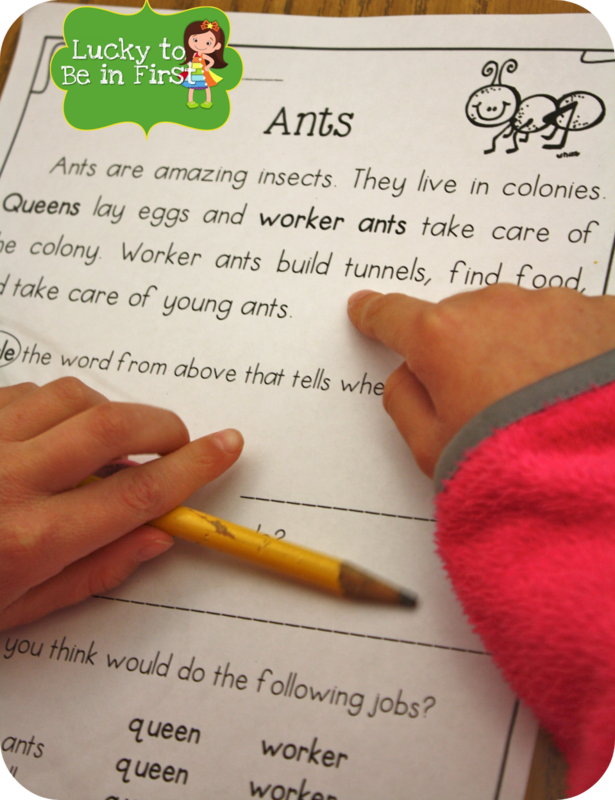 I'm sure you've heard that new/old buzz phrase in teaching - Close Reading! Just in case you haven't, Close Reading is an engaging way to help students work on building their comprehension. 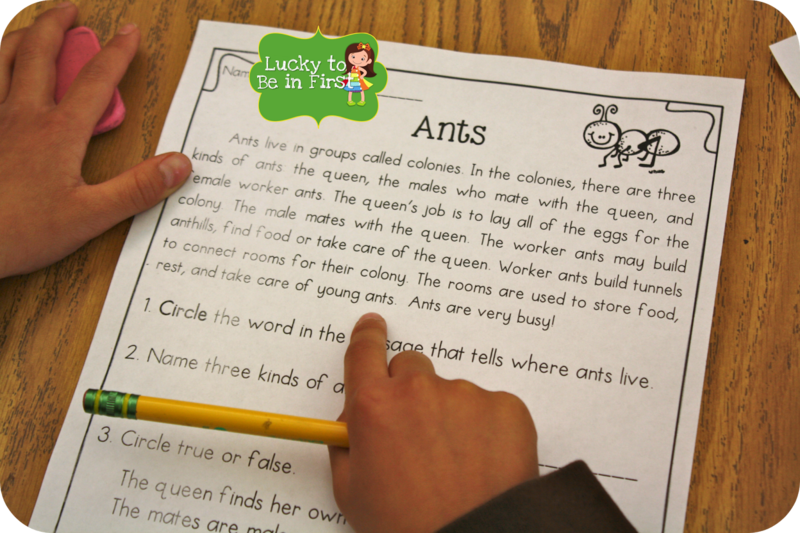 The Common Core Standards ask students to dig deeper into informational texts by answering questions and citing evidence. So...what does this mean in the classroom? Kids now need to "show what they know!" As we know, most kids are SUPER into animals. I thought if I created high interest topics, the kids wouldn't mind reading and answering questions about the text. 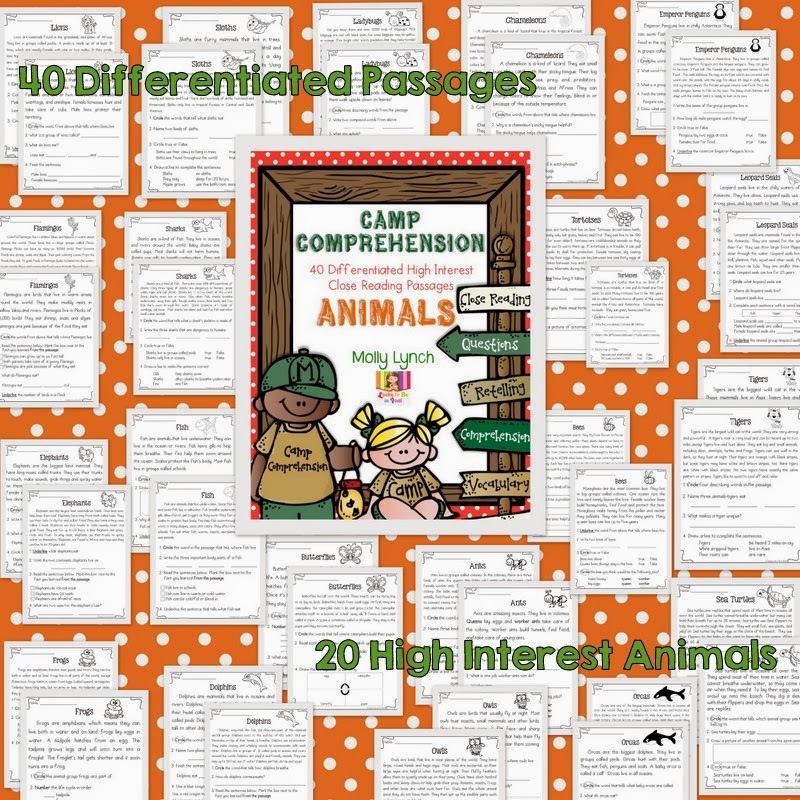 I used 20 different animals to create 40 reading passages. 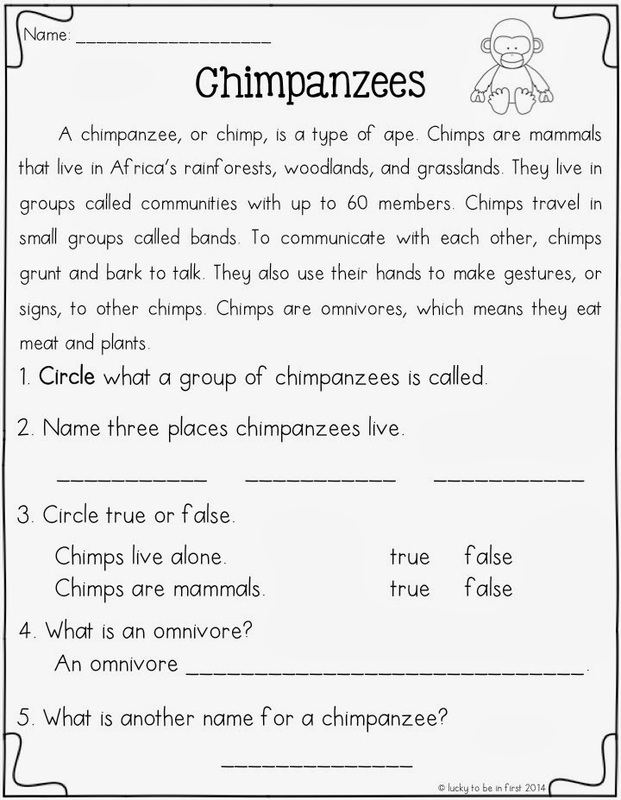 Having two passages for the same animal allows you to differentiate for your classroom of readers! I should point out that Close Reading is a challenging skill for young students to master. 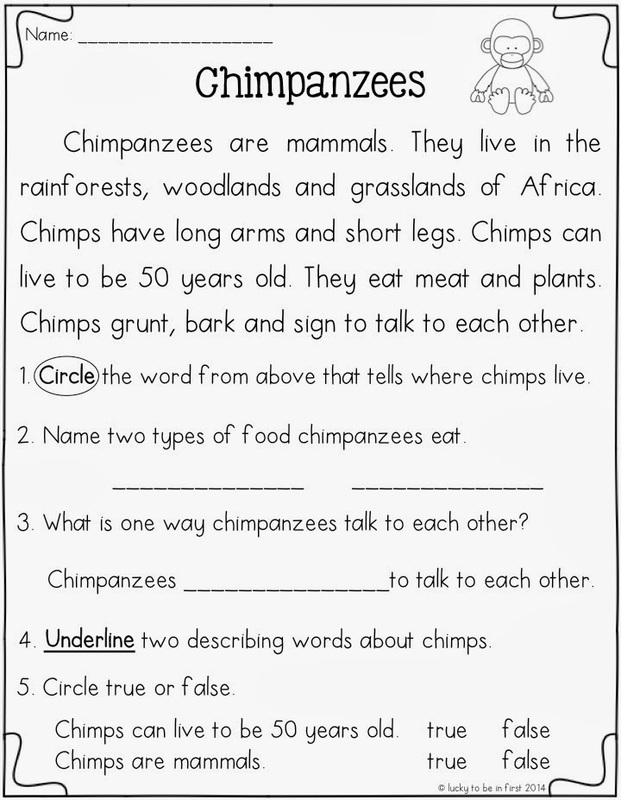 I use these non-fiction passages WITH my students during small group reading time. This is the easier of the two passages. This is the harder of the two passages on ants. All of the passages are set up in a very similar way, so my hope is that the kids will soon become familiar with the questions and skills, allowing them to complete the activities independently down the road. 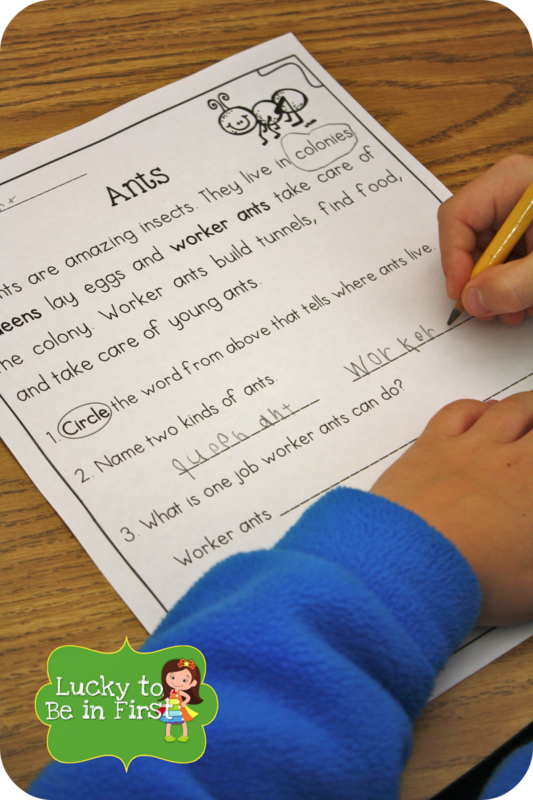 If you have some smarty-pants 1st graders or independent second graders, they could probably rock these passages on their own! Wanna try out Camp Comprehension? Click the picture below to snag this freebie! If you can use it in your classroom, I hope you'll leave some TpT love! A St. Patrick's Day Centerpiece DIY & Classroom FUN! How to retell a story: Why it's important and strategies you can use. Long time.....Currently, catch up's, and a freebie! Lucky to Be in First! Allow Myself to Introduce Myself! Basketball Madness with a Freebie!! Happy St. Patrick's Day (3 FREEBIES)! Working with Partners... and a Partner Freebie! Gearing Up for Guided Reading and some October Freebies! Who Knew The 5 Senses Could Be So Much Fun? Open House Ideas and some FREEBIES!